Following last month’s announcement of Robert Irvine’s delicious Fit Crunch Protein Puffs being available at Costco in a smaller, 100 calorie bag size. 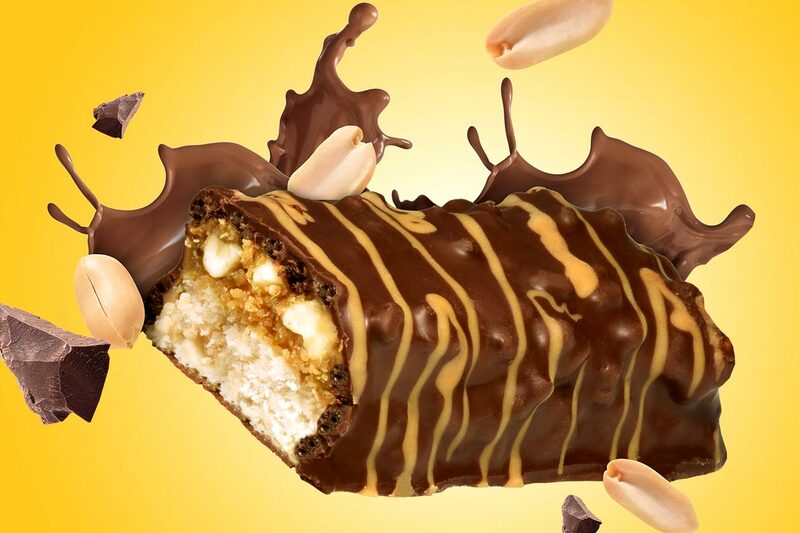 The brand has confirmed that you can now also get the smaller snack-size of its original Fit Crunch protein bar from the wholesale retailer. The smaller size bar is just over half the weight of the regular 88g version and provides a solid 16g of protein, only 3g of sugar, and a total of 190 calories. All Costco locations are stocking the smaller Fit Crunch protein bar in boxes of 18 and in the one Chocolate Peanut Butter flavor.